Al-Nafud Desert, Saudi Arabia. Photo by Retlaw Snellac Photography. 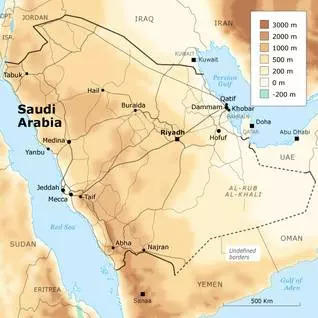 Saudi Arabia occupies most of the Arabian Peninsula, with the Red Sea and the Gulf of Aqaba to the west, the Persian Gulf to the east, and Yemen to the south. The total length of its land boundaries is 4,431 kilometres: Jordan 744, Iraq 814, Kuwait 222, Qatar 60, the United Arab Emirates 457, Oman 676, and Yemen 1,458. The island of Bahrain in the Persian Gulf is connected to the Saudi mainland by a causeway. 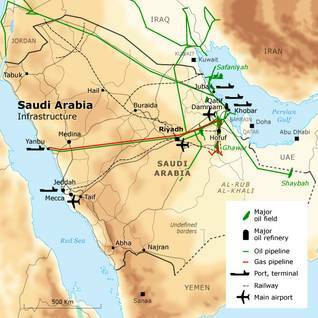 Over the past decades, Saudi Arabia has signed treaties with most of its neighbouring countries, but some disputes over the country’s borders continue – for instance, with the United Arab Emirates over the bordering Shayba oilfield and with Iran over al-Arabiya Island in the Persian Gulf. Recently the Saudi government claimed two islands, Tiran and Sanafir, from the Egyptian government. The two islands are located in the Red Sea, across from the Jordanian port of Aqaba. The administration of the islands had been handed over to Egypt by the Saudi King Faisal bin Abdulaziz Al Saud for defence purposes, but Israel took possession of the islands during the 1967 June War. In 1982, Israeli forces withdrew from the islands, and they were left under the administration of Egypt and the Multinational Force of Observers (MFO). Saudi Arabia contains the world’s largest continuous sand desert, al-Rub al-Khali (the Empty Quarter). Saudi Arabia has four other major regions. The largest is the Najd, a central plateau, which rises from about 600 metres in the east to about 1,500 metres in the west. 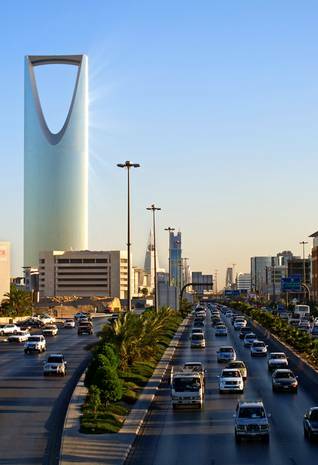 The capital, Riyadh, is located in the Najd. The Hijaz stretches along the Red Sea from the Gulf of Aqaba south to Asir and is the location of the holy cities of Mecca and Medina. Asir, extending south to the Yemen border, includes a fertile coastal plain. Inland mountains in the Asir region rise to more than 2,700 metres. The Eastern Province extends along the Persian Gulf and is the primary oil-producing region of the country. The oasis region of al-Ahsa occupies much of the Eastern Province. 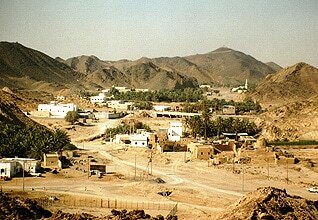 Saudi Arabia’s climate is generally hot and dry, although nights are cool, and frosts occur in winter. The humidity along the coasts is high. The inland areas of Najd, al-Qassim Province, and the deserts share a uniform climate. The temperature during the summer is high, reaching well over 45 °C, with generally cold nights. Extreme temperatures well below 0 °C are frequent in winter. The daily maximum temperature is mild during the short spring and autumn seasons, averaging about 29 °C. The coastlines of Saudi Arabia along the Red Sea and Persian Gulf maintain a relatively constant maximum temperature (about 38 °C) throughout the year. Sandstorms driven by northwesterly winds persist for about three months each year, usually during late spring and early summer, on the eastern coast. The southern region of Asir and the lower Hijaz regions are elevated, reaching up to 3,000 metres above sea level. The climate is cooler, with temperatures rarely rising above 35 °C. During the Indian Ocean monsoon season, in the autumn and spring, there is excessive rainfall. This region receives an average of 300 millimetres of rain during this season, or approximately 60 percent of total annual precipitation. In the other Saudi Arabian regions, rainfall is sparse and infrequent. The annual average precipitation rarely exceeds 100 millimetres, which is insufficient to maintain crops or livestock. Between 1901 and 2009, the monthly rainfall ranged between a low 1.2 millimetres in September to a high of 16.2 millimetres in April. Throughout the ages, the harsh climate largely prevented settlement on the Arabian Peninsula, except in a few major cities and oases. The average monthly temperatures observed in Saudi Arabia over the last century ranged between a low of 15.5 °C from December to February to 30 °C from May to September. Saudi Arabia covers a vast area, 8 percent of the Asian continent it has a unique biodiversity and natural environment. Its land area of about 1,969,000 square kilometres makes it the tenth largest country in the world. There are 2,250 species of flowering plants, of which 246 are endemic to the region. The location of the Saudi Arabian Peninsula between Eurasia and Africa allowed species unique to the two continents to intermingle. Many of these plants are used in homeopathy. Saudi Arabia is also home to 76 of the 98 mammals known to live in the Arabian Peninsula, 444 bird species, nine freshwater fish species, 103 reptiles, and seven amphibians. Expansion of urbanization, pollution, modern agricultural activities, and overhunting for recreational purposes are threats facing the natural habitat system. The tidal flats on the Persian Gulf, an important winter migration area, is home to 1-2 million wading birds of 125 species. There are fifteen protected areas representing 4 percent of the country’s total land; they are maintained by the Saudi Wildlife Authority (SWA). The areas were established between 1987 and 2002 to protect regions of special ecological significance. Woodlands and forests are scattered across various regions in Saudi Arabia. Juniper woodlands extend as a narrow belt 7,000 kilometres long in the south-western region, at an altitude of about 2,000-3,000 metres. Olive woodlands grow at 1,500-2,000 metres. Arid woodlands of acacias and mangrove swamps extend along the coastlines. Uncontrolled cutting of live branches for feeding livestock, urban expansion, and chemical and pesticide pollution have endangered the forests of Saudi Arabia. • reclaimed wastewater provides 1 percent of the water supply. Saudi Arabia has the largest natural-resource deposits in the Middle East, of which oil and gas are the most important. Oil was discovered in 1938. According to the latest estimates, Saudi Arabia’s recoverable oil stands at 267 billion barrels, or one fifth of the world’s reserves. The oil-extraction rate ranges between 9 and 10 million barrels a day, of which about 7.5 million barrels a day are exported. This makes Saudi Arabia the world’s largest oil exporter. The oil fields are concentrated in the eastern part of the country. The so-called Arabian-Nubian Shield – an exposure of Precambrian crystalline rocks on the flanks of the Red Sea, in the western part of the country – is a major source of several minerals, including gold, silver, copper, zinc, chromium, manganese, tungsten, lead, tin, aluminium, and iron. Sedimentary formations in the east yield such industrial minerals as gypsum, feldspar, mica, sulphur, and salt. More than 540 licenses to explore for minerals and fifteen concession licenses for gold, silver, copper, zinc, lead, and iron have been granted. Gold has been discovered at some 600 sites around Saudi Arabia, and a total of 29 prospects have been explored by drilling. All known gold deposits are located in the rocks of the Arabian-Nubian Shield. The Mahd al-Dhahab gold mine has been reopened with the intention of developing a high-grade underground gold mine, with a capacity of at least 400 tonnes of ore per day. The Ministry of Petroleum has identified another 53 sites for gold mining. Reserves of silver are located mostly in the north-eastern and western region. The most important location is al-Nuqra, near Medina, with estimated reserves of 866,000 tonnes of silver. Copper and zinc are found in the central region and on the west coast, north of Jeddah. Reserves in the al-Masane region, near Riyadh, are estimated at seven million tonnes; there is an additional four million tonnes of copper ore west of Riyadh. Iron is found in Wadi Sawawin, west of Tabuk, in the north. The iron reserve is estimated at 84 million tonnes. More iron reserves, estimated at 50 million tonnes, are found near Riyadh and in Wadi Fatima, east of Jeddah. Saudi Arabia also has deposits of rare metals such as tantalum and niobium (25 percent of the world reserves). Other rare metals are found in granitic rocks near Tabuk. According to World Bank data, arable land covered 3,200,000 hectares in 2009. These include lands under temporary crops, meadows for pasture, land in market or kitchen gardens, and land temporarily fallow. Arable land amounted to 1.48 percent of the total land area in 2009. The proportion of total land used for agriculture was constant at just under 81 percent in 2009. Cereals production in 2010 was reported as 1,784,000 metric tonnes, with a yield of 5,620 kilogrammes per hectare. There were 37,400 hectares of land used for cereals production in 2010. In 2005, forests covered 9,770 square kilometres. All economies face the challenge of hidden costs – costs that are not contained in transaction prices and that are being imposed on others in the society and on the natural environment – as well as the challenge of economically sustainable development. Environmental issues go beyond national borders, and Saudi Arabia’s sizable carbon emissions and role as one of the world’s principal suppliers of hydrocarbon fuels brings the country into the global debate on these issues as well. 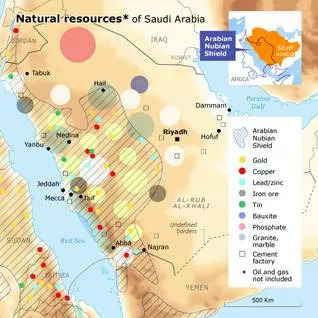 Saudi Arabia’s main environmental struggles are with desertification, depletion of underground water resources, and the lack of perennial rivers and other permanent water bodies, which has prompted the development of extensive seawater-desalination facilities. According to some statistics, Saudi Arabia has the third-highest per capita fresh-water consumption in the world, despite being one of the world’s driest countries. Air pollution and waste management are also important issues. Manmade threats come mainly from oil spills, which cause coastal pollution. In addition, carbon dioxide emissions from burning fossil fuels and the production of cement are a main threat. CO2 emissions were estimated at 16.6 metric tonnes per capita in 2008. Natural threats come mainly from frequent sand and dust storms. Environmental protection and conservation in Saudi Arabia are based on a commitment to implement Article 32 of the Basic Law of Governance, which states that ‘The state works for the preservation, protection, and improvement of the environment, and for the prevention of pollution.’ In past years, several regulations were enacted to try to meet this commitment. Such regulations and measures include issuance of the General Environmental Law in 2001 and the creation of the Presidency of Meteorology and Environment, as well as endorsement of the Kyoto Protocol in 2005, accession to the UN Convention on Biological Diversity in 2001, accession to the UN Convention to Combat Desertification in 1997, accession to the Cartagena Protocol on Biosafety in 2007, and approval of the National Health and Environment Strategy in 2008. The Saudi Ninth Development Plan (for 2010-2014) has made the integration of environmental sustainability and protection one of its main goals. 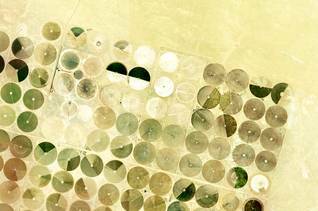 Water used in Saudi Arabia for agricultural, municipal, and industrial purposes comes mainly from non-renewable sources; this makes the protection of such sources vital. Measures have been taken to ensure rationalization of water consumption and reliance on conventional renewable resources. Desertification and degradation of limited agricultural and forestry land constitute a major challenge for development. Goal Seven in the plan intends to ensure environmental sustainability by setting several targets. Target 12 aims to integrate the principles of sustainable development into the country’s policies and programmes and reverse the loss of environmental resources. Target 13 aims to achieve a significant reduction in the rate of loss of biodiversity. By 2010, maintenance of current land and water resources was stabilized. Target 14 aims at halving the proportion of people by 2015 without sustainable access to safe drinking water and sanitation. By 2010, 96 percent of the population had access to safe drinking water and 100 percent had access to sanitation services through septic tanks and waste-water treatment systems. The Saudi Wildlife Commission (SWC) has bred endangered species at their research centre and re-introduced them into several protected areas. Protected areas cover more than 82,700 square kilometres or 4.2 percent of country’s total land surface. Two of the protected zones, Harrat al-Harra in the Jawf region and al-Khunfa in the Tabuk region, have been demarcated. More protected areas have been introduced in Upper Jabal Shada, in the Baha region. The Ministry of Agriculture has extended protection to more than 40 sites in various regions to protect plants from overgrazing. There are three stations dedicated to producing grazing-plant seeds, and 27 nurseries for trees and grazing plants. Environmental awareness is not deeply anchored in the public and bureaucratic consciousness, however, and the formal obligation of environmental-impact assessments for new projects is sometimes treated in a cavalier manner. Powerful follow-up mechanisms are lacking. All major cities suffer from sewage problems, industrial spills are not uncommon, and the average Saudi household produces large amounts of garbage, as large-scale recycling has not been implemented. The massive hydrocarbons sector presents particular challenges: the potential for an environmental disaster from a ruptured pipeline or tanker accident is high. In 2010 about 82 percent of the total population lived in cities. 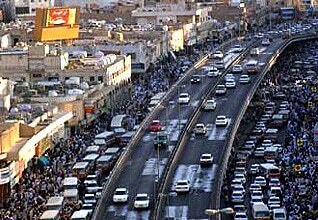 The capital, Riyadh, currently has 5.2 million inhabitants, followed by Jeddah (3.2 million), Mecca (2 million), Medina (1.3 million), and Dammam (750,000). Of Saudi Arabia’s thirteen provinces, Makka (Mintaqat Makka al-Mukarrama or Province of the Holy City of Mecca) in the west has the largest population (6.9 million), followed by Riyadh (6.8 million), the Eastern Province (al-Mintaqa al-Sharqiya or al-Sharqiya; 4.1 million), Asir in the south (1.9 million), al-Madina(Mintaqat al-Madina al-Munawwara or Province of the City of Light, or Province of Medina) in the west (1.8 million), Jazan in the south (1.4 million), al-Qassim in the centre (1.2 million), Tabuk in the north (790,000), Hail in the north (597,000), Najran in the south (505,000), al-Jawf in the north (440,000), al-Baha in the south (412,000), and the Northern Borders Province (Mintaqat al-Hudud al-Shamaliya; 322,000). 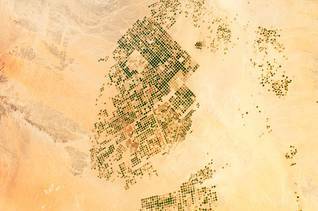 The rural geography of Saudi Arabia is varied but largely barren and harsh, with salt flats, gravel plains, and sand dunes and few lakes or permanent streams. In the south, al-Rub al-Khali (the Empty Quarter) is an almost continuous body of sand; it is little explored and rarely crossed. In the south-west, the mountain ranges of Asir province rise to over 2,700 metres. East of the mountains lies the Najd, a high central plateau with a relatively level surface. In some areas, long cliff-like hills rise abruptly from the Najd. In many areas the terrain is deeply eroded and rugged. Some sections are covered by extensive lava flows.